Charles Baumgarth was born in October 1851 at Wisconsin. He married Clara V. Wiskocil, daughter of Victor Wiskocil and Magdalena Gunther, circa 1879. Henry Schoenfeld was born in February 1845 at Germany. He married Erwine Wiskocil, daughter of Victor Wiskocil and Magdalena Gunther, circa 1875. John H. Snyder married Mary E. Reyman, daughter of Joseph W. Reyman and Louisa L. Seiders. John H. Snyder was born in May 1870 at Wisconsin. Everett Irven Snyder was born on 12 October 1915 at Spring Green, Sauk, Wisconsin. He was the son of John H. Snyder and Mary E. Reyman. Everett Irven Snyder married Eula Mae Hess on 20 October 1939 at Cook, Illinois. Everett Irven Snyder died on 4 December 1988 at age 73. Margaret Snyder married Clarian Dunbar. Margaret Snyder was born on 12 February 1913 at Wisconsin. She was the daughter of John H. Snyder and Mary E. Reyman. Margaret Snyder died in February 1976. [S373] U.S. Federal Census 1940 U.S. Federal Census, by Ancestry.com, Year: 1940; Census Place: Clayton, Crawford, Wisconsin; Roll: T627_4467; Page: 9A; Enumeration District: 12-3B. Name Variation John Joseph Snyder was also known as Jack. John Joseph Snyder was born on 20 September 1919 at Spring Green, Sauk, Wisconsin. John Joseph Snyder married Laverna Irene Bolton on 3 June 1942 at Texas. John Joseph Snyder died on 31 March 2002 at age 82. Married Name Her married name was Dietz. Ruth Peck married Eugene Frank Dietz. Ruth Peck was born on 28 January 1895 at Spring Green, Sauk, Wisconsin. She was the daughter of George H. Peck and Rosalind A. Reyman. Ruth Peck died on 2 February 1970 at Wisconsin at age 75. Eugene Frank Dietz married Ruth Peck, daughter of George H. Peck and Rosalind A. Reyman. Eugene Frank Dietz was born on 17 December 1892 at Missouri. He died in September 1986 at Wisconsin at age 93. Name Variation Carl Herritz was also known as Charles. Carl Herritz married Emma Schneider. Carl Herritz was born circa 1889 at Wisconsin. Married Name Her married name was Herritz. Emma Schneider married Carl Herritz. Emma Schneider was born circa 1893 at Wisconsin. Douglas Herritz was the son of Julius Herritz and Crystal E. Schneider. Douglas Herritz died before 2016. Leonard Herritz was born on 12 July 1926 at Wisconsin. He was the son of Carl Herritz and Emma Schneider. Leonard Herritz died on 27 April 1986 at age 59. Married Name 20 June 1959 As of 20 June 1959,her married name was Albers. Evelyn L. Herritz was born on 18 November 1924 at Westfield, Sauk, Wisconsin. She was the daughter of Carl Herritz and Emma Schneider. Evelyn L. Herritz married Norbert C. Albers on 20 June 1959. Evelyn L. Herritz died on 14 February 1998 at Madison, Dane, Wisconsin, at age 73 Evelyn (Herritz) Albers obituary. Norbert C. Albers married Evelyn L. Herritz, daughter of Carl Herritz and Emma Schneider, on 20 June 1959. Willard Krueger married LaVerne A. Stackman, daughter of Edward Stackman and Minnie Shimniok. Willard Krueger was born on 3 September 1927 at Sauk, Wisconsin. He was the son of Edgar E. Krueger and Alice E. Luetkens. Willard Krueger died on 31 August 1973 at Madison, Dane, Wisconsin, at age 45. Married Name Her married name was Stackman. Romaine (?) married Arlin Stackman, son of Edward Stackman and Minnie Shimniok. Romaine (?) died before 2016. Married Name Her married name was Hager. Emma W. Schroeder married Herbert S. Hager. Emma W. Schroeder was born circa 1888 at Wisconsin. 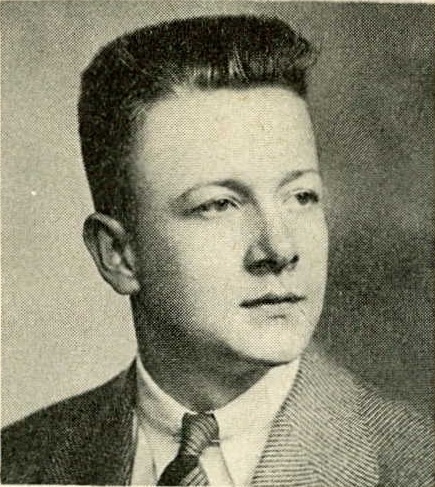 Kenneth H. Hager was born circa 1915 at Wisconsin. He was the son of Herbert S. Hager and Emma W. Schroeder. Robert H. Hager was born circa 1918 at Wisconsin. Edward A. Hager was born circa 1924 at Wisconsin. Married Name 12 August 1961 As of 12 August 1961,her married name was Baumgarten. Lorna Shimniok married Lyle Martin Baumgarten, son of Martin H. Baumgarten and Clara Elise Anna Luetkens, on 12 August 1961. Lorna Shimniok died on 27 December 1991. Married Name circa 1920 As of circa 1920,her married name was Reyman. Edith A. (?) was born in 1878 at Wisconsin. She married Guy Lemuel Reyman, son of Joseph W. Reyman and Louisa L. Seiders, circa 1920. Edith A. (?) died in 1950 at Wisconsin. She was buried in 1950 at Spring Green Cemetery, Spring Green, Sauk, Wisconsin. [S250] U.S. Federal Census 1930 U.S. Federal Census, by Ancestry.com, Year: 1930; Census Place: Spring Green, Sauk, Wisconsin; Roll: 2609; Page: 4B; Enumeration District: 0034; Image: 437.0; FHL microfilm: 2342343. [S373] U.S. Federal Census 1940 U.S. Federal Census, by Ancestry.com, Year: 1940; Census Place: Spring Green, Sauk, Wisconsin; Roll: T627_4523; Page: 3B; Enumeration District: 56-36. Married Name 20 October 1939 As of 20 October 1939,her married name was Snyder. Eula Mae Hess was born on 22 September 1916 at Chicago, Cook, Illinois. She married Everett Irven Snyder, son of John H. Snyder and Mary E. Reyman, on 20 October 1939 at Cook, Illinois. Eula Mae Hess died in 1968. Howard G. Snyder was born on 10 July 1923 at Wisconsin. Howard G. Snyder married Elsie Alma Bolton on 3 April 1954. Howard G. Snyder died on 8 June 1964 at Baraboo, Sauk, Wisconsin, at age 40. Clarian Dunbar married Margaret Snyder, daughter of John H. Snyder and Mary E. Reyman. Clarian Dunbar was born circa 1913 at Wisconsin. Name Variation Laverna Irene Bolton was also known as Verna. Married Name 3 June 1942 As of 3 June 1942,her married name was Snyder. Laverna Irene Bolton was born on 8 July 1918 at Sauk, Wisconsin. She married John Joseph Snyder, son of John H. Snyder and Mary E. Reyman, on 3 June 1942 at Texas. Laverna Irene Bolton died on 22 July 2013 at Idaho at age 95 Verna Snyder, 95, passed away on Monday, July 22, 2013, at Eastern Idaho Regional Medical Center. She was born on July 8, 1918, to Clyde A. and Lulu M. (Baker) Bolton in Spring Green, WI. She attended elementary schools in the Spring Green area and high school in Lone Rock, WI. She grew up during the depression and learned early how to work hard and treasure the simple things in life. It was in Spring Green where she met the love of her life, John "Jack" Joseph Snyder. They were married on June 3, 1942, in Abilene, TX. After serving their country in World War II, they settled in Prairie du Chien, WI, for 8 years. In May of 1954, they packed up their three children and her nephew, who came to live with them after her sister passed away, and moved to Ammon, ID, where they lived for 20 years. Two additional children were born while they lived in Ammon. In 1974, they moved to the Taylor area, where they lived for 36 years. She spent the last few years in her Idaho Falls condo. Verna was a Teacher's Aide for 13 years at Hillview Elementary School in Ammon in the Title 1, Chapter 1 Program teaching phonics. Because she was patient and enjoyed children and reading, she was a natural. Survivors include her sons, John R. (Sharon) Snyder, Paul R. (Paula) Snyder both of Idaho Falls, and Kevin J. (Anna) Snyder of Livermore, CA; her daughters, Carolyn F. (Lyn) Gunning of Colorado Springs, CO, and LuAnn M. (David) Young of Spokane, WA; her nephew, David Paepke of Rexburg; 11 grandchildren; 7 great-grandchildren; and too many to mention who call her friend. She was preceded in death by her husband of 60 years, Jack Snyder; her parents; and 9 siblings. Married Name 3 April 1954 As of 3 April 1954,her married name was Snyder. Elsie Alma Bolton was born on 7 April 1923 at Wisconsin. She married Howard G. Snyder, son of John H. Snyder and Mary E. Reyman, on 3 April 1954. Elsie Alma Bolton died on 9 June 2003 at Wisconsin at age 80 Elsie Alma (Bolton) Bethke Snyder Ott, age 80, of Baraboo, passed away on Monday morning, June 9, 2003, at St. Clare Meadows Care Center. Elsie, the daughter of Clyde and Lulu (Baker) Bolton, was born on April 7, 1923, in Lone Rock, Wis.
She was united in marriage to Donald Bethke in 1943. He preceded her in death in 1948. She was married to Howard Snyder on April 3, 1954, and he passed away in 1964. Elsie later married Herbert C. Ott on March 6, 1976, in Baraboo, and he also preceded her in death on March 29, 1985. In addition to her husbands, Elsie was preceded in death by her parents; and brothers and sisters. Vivian E. Sayles was born circa 1900 at Wisconsin. She was the daughter of Oscar B. Sayles. [S244] U.S. Federal Census 1910 U.S. Federal Census, by Ancestry.com, Year: 1910; Census Place: Spring Green, Sauk, Wisconsin; Roll: T624_1737; Page: 13A; Enumeration District: 0126; FHL microfilm: 1375750. [S243] U.S. Federal Census 1920 U.S. Federal Census, by Ancestry.com, Year: 1920; Census Place: Stark, Vernon, Wisconsin; Roll: T625_2019; Page: 2B; Enumeration District: 202; Image: 448. August C. Scheer was born on 28 March 1872 at Germany. He was the son of Fred Scheer and Minnie Sturm. August C. Scheer married Elsie Adelle Seiders, daughter of John Henry Seiders and Mary M. Griffiths, circa 1898. August C. Scheer died on 20 October 1951 at Clackamas, Oregon, at age 79. [S245] U.S. Federal Census 1900 U.S. Federal Census, by Ancestry.com, Year: 1900; Census Place: New Era, Clackamas, Oregon; Roll: 1345; Page: 10A; Enumeration District: 0082; FHL microfilm: 1241345. [S250] U.S. Federal Census 1930 U.S. Federal Census, by Ancestry.com, Year: 1930; Census Place: Oregon, Clackamas, Oregon; Roll: 1940; Page: 6A; Enumeration District: 0080; Image: 794.0; FHL microfilm: 2341674.